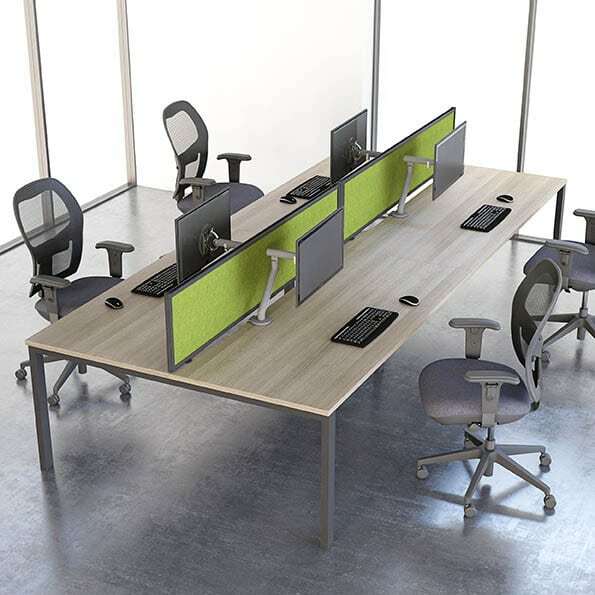 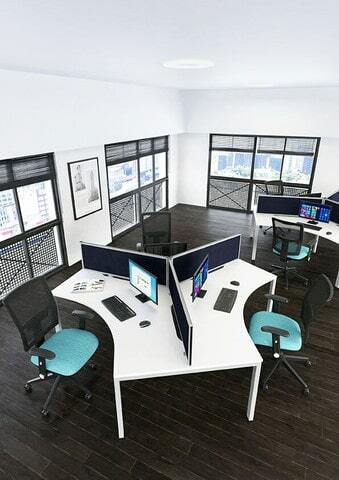 The Mesa's strong yet simple design is an ideal desking range for areas that are limited on space. 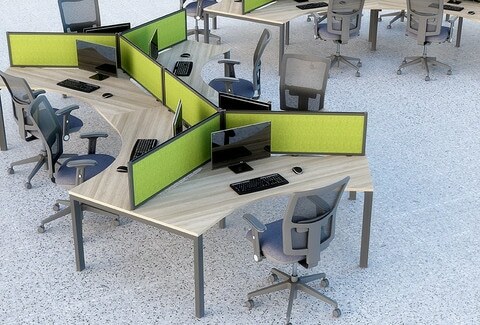 Their ability to share components when placed back to back or side to side also makes the range more cost effective. 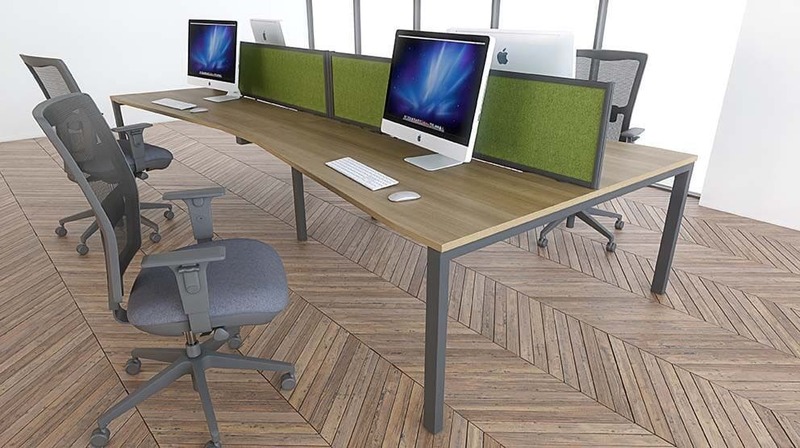 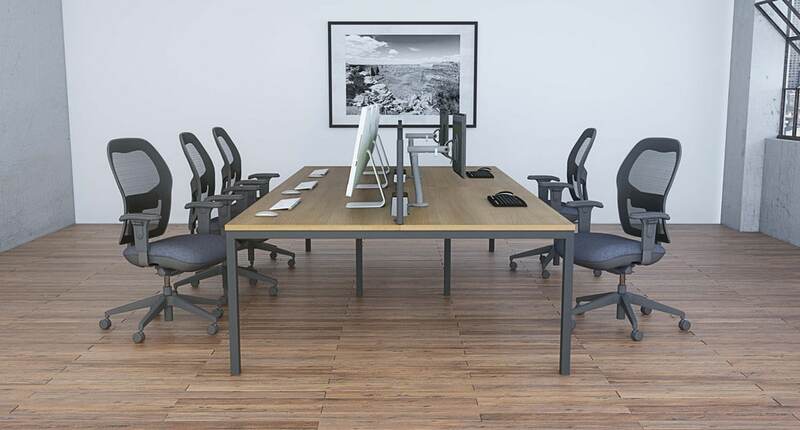 A stripped back and minimalistic bench desk system, Mesa still aims to be a modern desking solution and can be used with a range of clamp on monitor arms and surface mounted power and data modules. 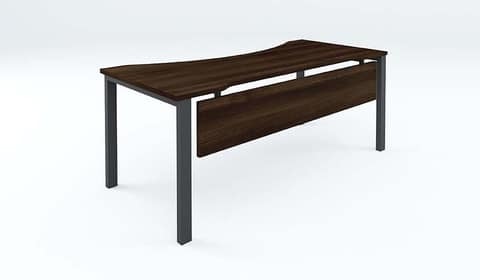 The 43mm deep scalloped rear edge of the desk tops allow for easy cable access, without taking up work space with cable ports. 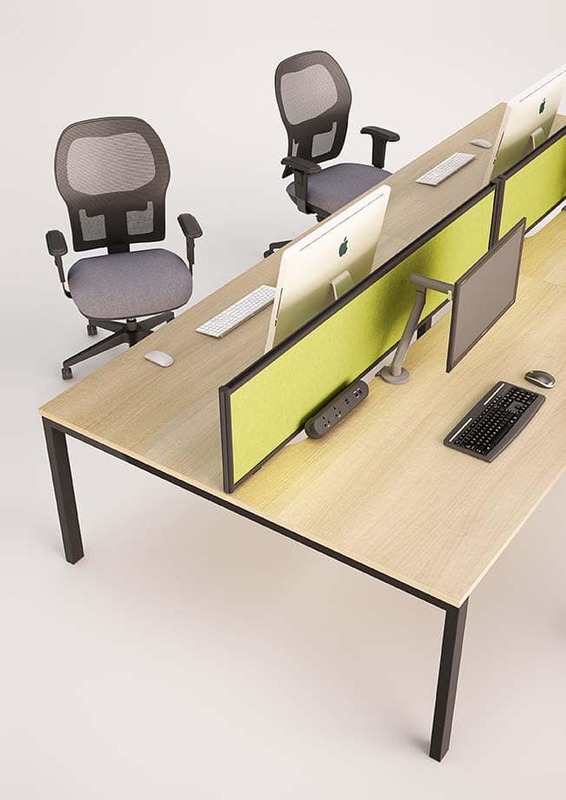 The range is also available with optional wire cable management baskets and flexible cable spines to keep wires neat and tidy. 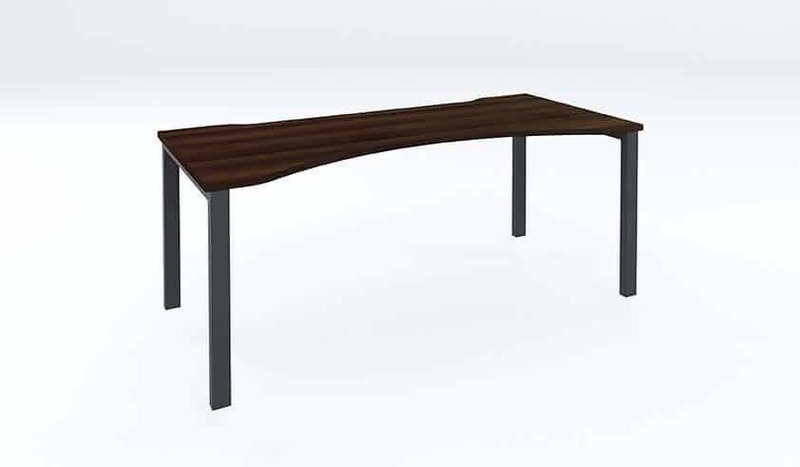 25mm thick table tops feature 2mm thick impact resistant ABS edging and all metalwork is Epoxy Powder Coated for durability.